Don't you love it when God drops little nuggets in our heart? Yesterday as I was running around getting ready for work (not in my prayer closet) the Lord dropped this in my heart. "Be a cheerful giver, not a fearful giver." 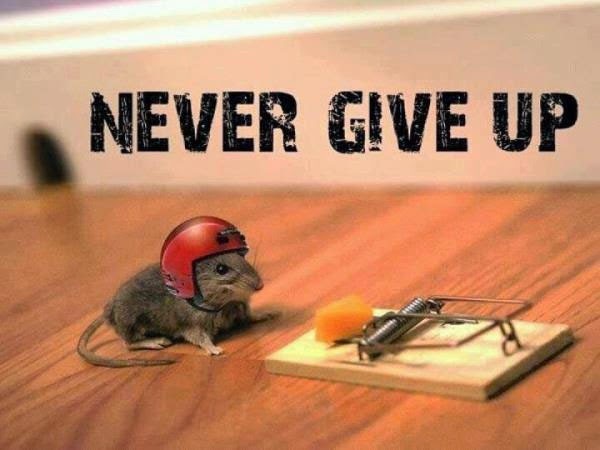 I started laughing and said the same thing I almost always say to God when He speaks to me this way, Wow, that's good God! I don't know what God is asking of you to give today. Maybe it's finances, maybe it's your time, maybe He wants you to give Him control of that situation. Whatever God is asking of you don't be afraid. Have joy in knowing at the end of our giving there is always blessing! 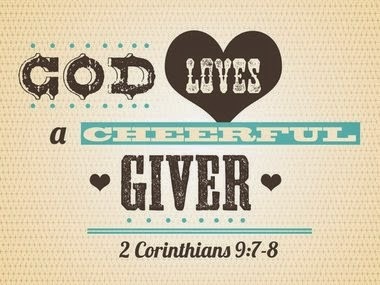 God loves a cheerful giver and He loves you!